Requires the player to reach Tier 1 in Season 6 Battle Pass. 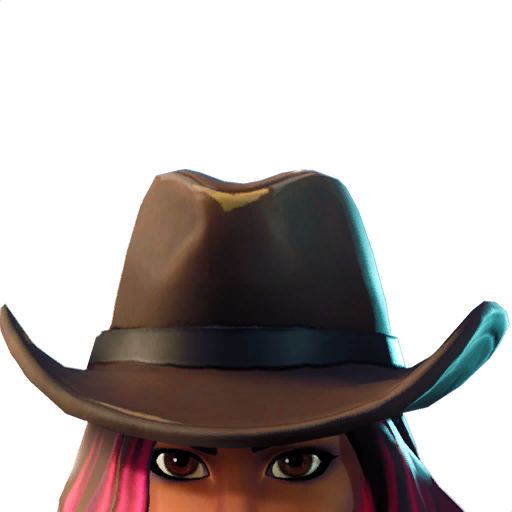 The Calamity is a legendary outfit for the Season 6 of the game Fortnite Battle Royale. 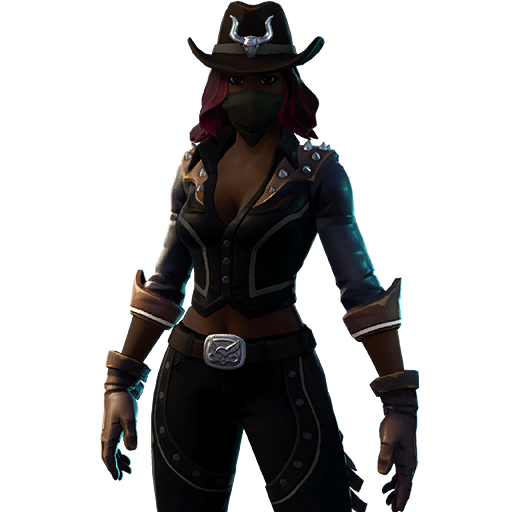 The Calamity is among the few outfits with unlockable styles. 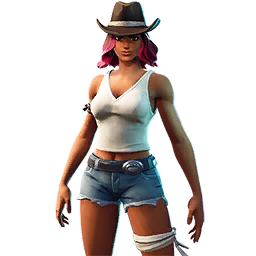 The Calamity legendary outfit features a Western Bandit girl wearing a white V-neck tank top and mini shorts. 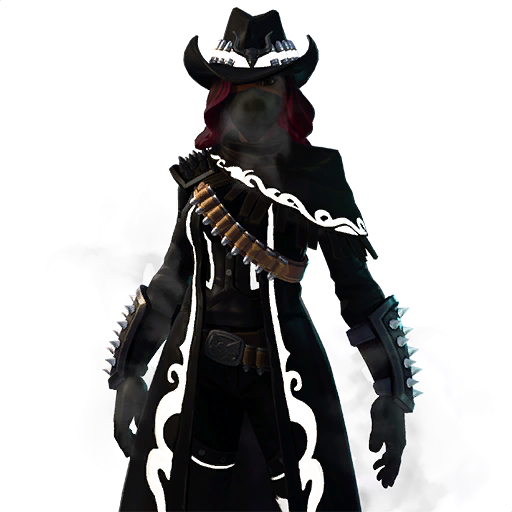 When upgraded, the outfit features a black vest, a black western hat, and a black bandana mask. This outfit features unlockable styles. Each style unlocked adds some features to the outfit, including a leather jacket and some full gear equipment. 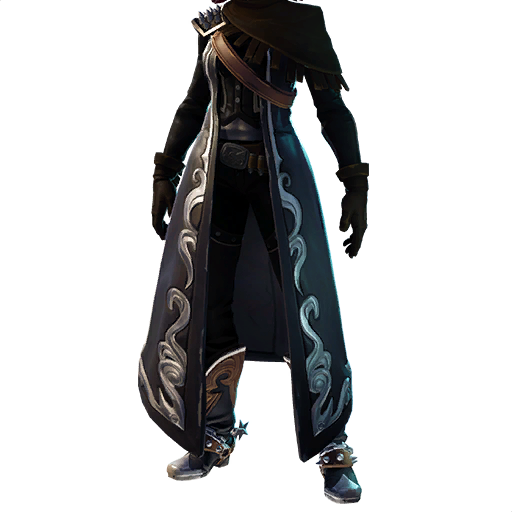 When all styles are unlocked, the Calamity features a battle-ready black leather jacket with purple glowing outlines in a cool pattern, a bandolier of ammunition, and a black smoke aura that comes out of the avatar. This legendary outfit is part of the Western Wilds Set. 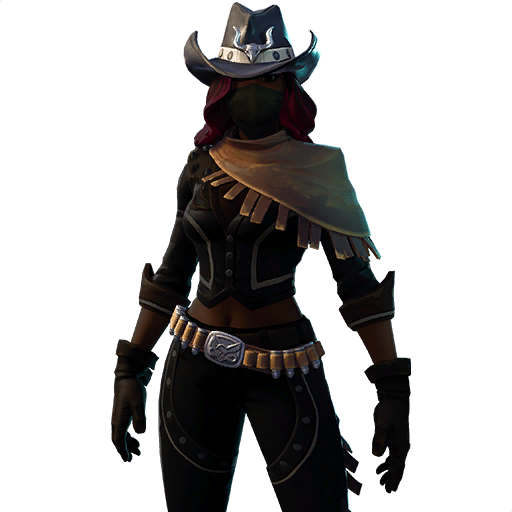 This outfit can be unlocked at level 1 of the Season 6 Battle Pass. 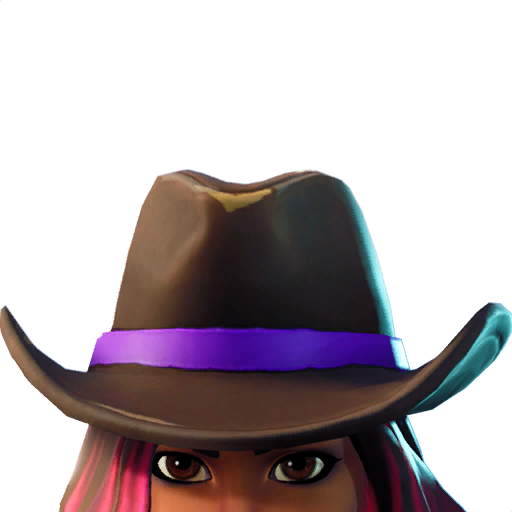 The unlockable styles can be obtained by gaining enough experience while using the skin. 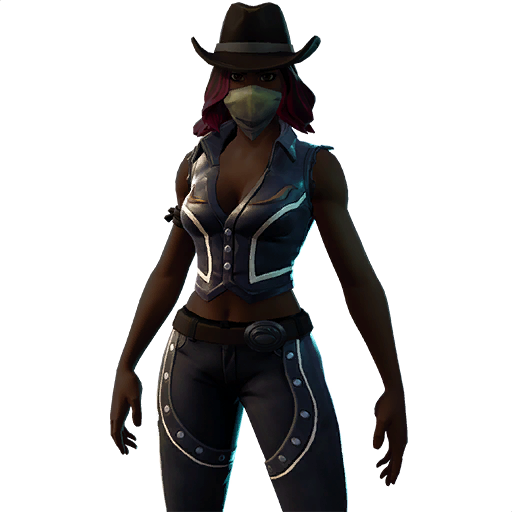 To obtain this outfit, you must first purchase the season 6 Battle Pass and reach the first tier. Part of the Western Wilds set. 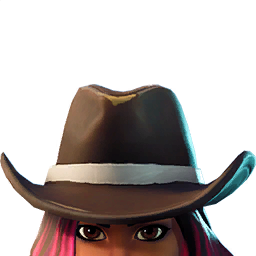 Calamity high-quality PNG images with transparent background to use them as you wish (YouTube thumbnails, skin concept and so on).